Join the Arthritis Community and share your information and tips with other arthritis sufferers. Learn about your arthritis. Suffering in pain from arthritis? These informative arthritis tips are a MUST read. Do you really suffer from osteoarthritis? That question needs an answer before you embark on a course of treating it. All too often when you have joint pain, a doctor will be quick to say, "Well Jean, you know you aren't getting any younger and those joints are starting to degenerate." This is a mistake. 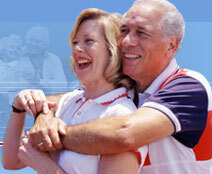 The aging process is not what causes osteoarthritis. Want to share something on the site? Use our form to let your friends or family check out the latest news and information relating to arthritis. The latest news and information on glucosamine and arthritis. Read below for information you need to help you in your fight against arthritis.